What you are experiencing is definitely a bad color connection somewhere. The stray signals are giving you the random colors you're seeing. If we can't figure it out, I'll send another board. Ok. I have another idea: I remove the "color in" wire. If it does no difference to what I experience, I know that that's the problem. Then I recheck all lines concerned with "color in" and recheck the base, and the solder work to the base in which the board sits. Actually it's AMAZINGLY sharp! It's affected by your board for sure, composite wouldn't be able to do this. Edited by Boojakascha, Thu Sep 21, 2017 1:43 PM. Does any of your customers have a PAL machine? Could that be the issue? Edited by Boojakascha, Thu Sep 21, 2017 2:00 PM. These have been installed in tons of PAL machines, including mine. Can you take the color wire out of the far-right (color-in) terminal and touch it to pin 4 of the IC on the right as shown? Let me know if that produces color. (the board in the pic is a little different version, but ignore that). I tried. It results in the same picture as shown before. It is looks exactly the same as if I screwed it onto the terminal. I received my ESR meter early and have it already at hand. Is are there any particular capacitors worth checking? No, I can't think of any capacitors that would cause this. It appears you have a bad board. I'll get another one on the way. That's very nice of you. At least let me send you two boards in the package, then. This is a very old thread for the earlier Rev C version; just PM Bryan. So anybody know if these are still available? I pm'd Bryan over a week ago to purchase and haven't heard anything back. Is this the best way to get ahold of him? Yeah - that's the best way to get ahold of him. I know sometimes he gets really busy with regular job. Should be shipping soon (this month) and haven't shipped yet, so if you want one, your timing might just be perfect! How do I get on the list for getting these? Send a PM to Bryan. Ok thanks. I did send him one after I posted in here. Mine turned up yesterday, installed in a few minutes works like a champ, amazed at the clarity of the display. Super pleased with it! Just PM Bryan, he was pretty fast at getting back to me. Not sure where I am at on the queue, I am guessing I missed the last shipment though. I'm doing what I can to get orders out and get caught up with PMs. I would like to purchase one unit of UAV - D Mod. Please, send me a PM. 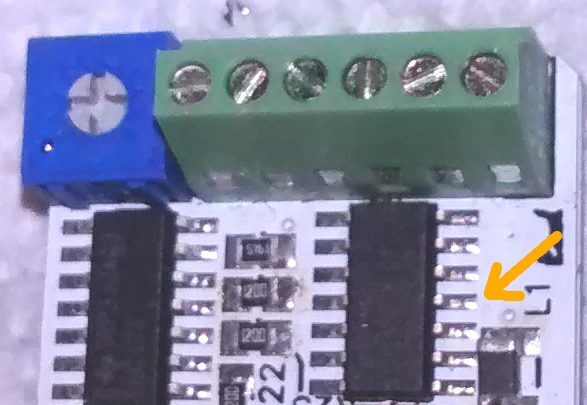 Is there a way i can connect the board with fly leads like this even if ive already soldered the jumper header in? I saw this picture after i soldered the header in. eg. Can I soldier fly leads into the holes for the socket pin headers? Then presumably use the jumpers to configure the board? Edited by cypher007, Sun Apr 15, 2018 11:34 AM. Think I’ve figured it. 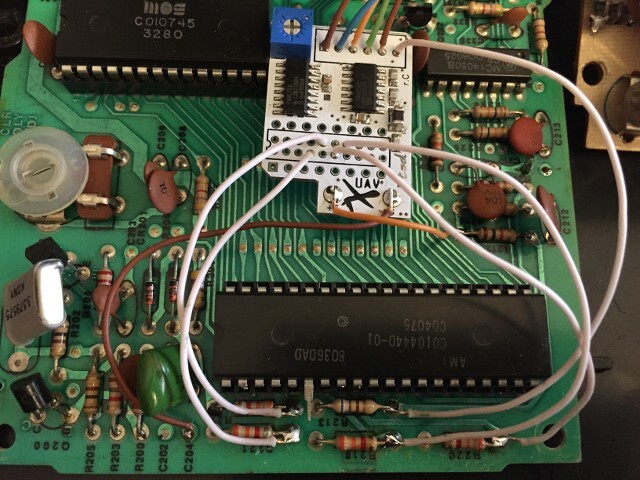 If I use the jumpers then connect the wires to the cd4050 holes on the uav then to the relavent points on the a2600 board it should work.